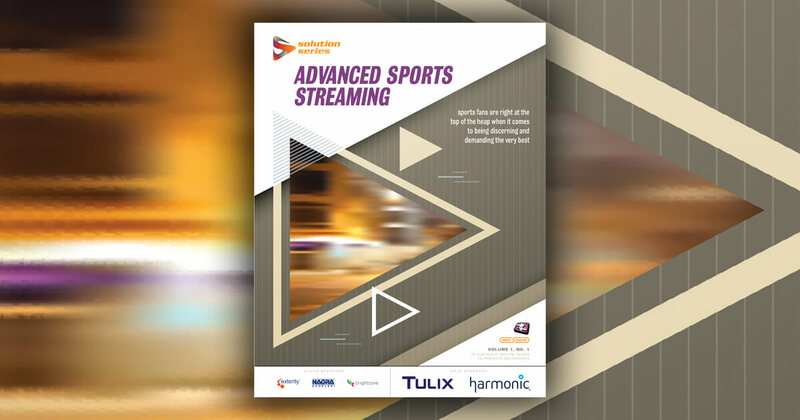 Amongst streaming consumers, sports fans are right at the top of the heap when it comes to being discerning and demanding the very best. They want the lowest latency, highest quality, maximum screens, best recommendations, live and on-demand, ability to interact and integrate with social networks, user-defined content—the list goes on. This is the Solution Series supplement that addresses these important topics, and ensures that our readers are able to choose the right tools and the right companies to service this incredibly important market.